Today’s goal was to travel from the Sea of Galilee to the city of Jerusalem. As in Biblical times, there are a variety of paths you can take to accomplish this. From the Sea of Galilee, we travelled south to the city of Beit-shan. This site is a beautiful place to visit. You could easily spend a full day here and only then get started good. Our group split into two parts with some of the tour members climbing to the top of the tel and the remaining members touring the Roman site on the floor. Overall, it was a great stop. Our next stop was the Spring of Harod. This site is very simple, but provides gives the visitors a wonderful visual of the battle between the army of Gideon and the Midianites. Our last stop before heading into Samaria was the site of Jezreel. This was such an important city in the history of the northern kingdom of Israel. The view was a little hazy, but it was still breathtaking. We were able to see the workers down at the Jezreel Expedition archaeological dig as they were breaking for lunch. 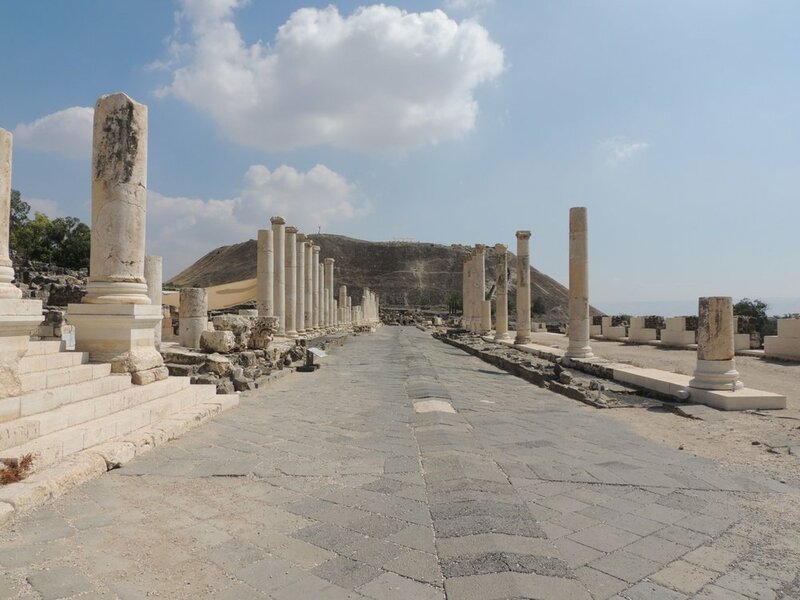 Traveling through the West Bank took us to the city of Samaria. 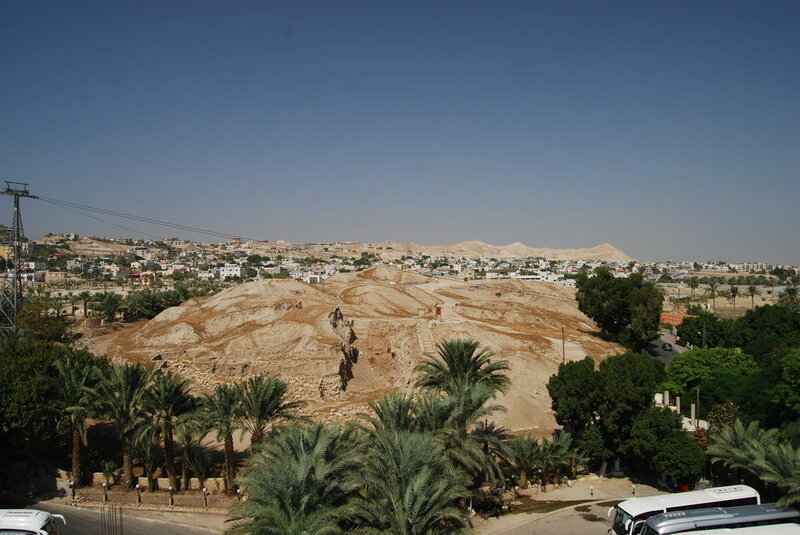 Kings Omri and Ahab purchased this hill and built their palace here to rule the Northern Kingdom of Israel. The views from this site allows you to see the mountains all around and helps you appreciate how difficult it was to travel through this region. Our final stop for the day was at Jacob's Well in the modern city of Nablus (ancient Sychar). This well, which now sits in the basement of a Greek Orthodox church building, is the same well that Jacob dug so many years ago. Jesus later had a discussion with a Samaritan woman while she was drawing water at this well. Late this afternoon, we arrived in the beautiful city of Jerusalem. We’ve checked into the hotel and had a good dinner. After a good night’s sleep, we’ll be ready to tackle everything this city has to offer. Earlier today, the Jezreel Expedition Facebook page updated their cover photo. All I have to say is "wow". That is a fantastic aerial shot of Jezreel as it overlooks the southeastern corner of the Jezreel Valley and the Valley of Harod. This picture is facing almost due east. Jezreel is the light brown area just below the exact center of the picture. The northern end of Mount Gilboa is off to the right and the Transjordan Plateau is in the distance. 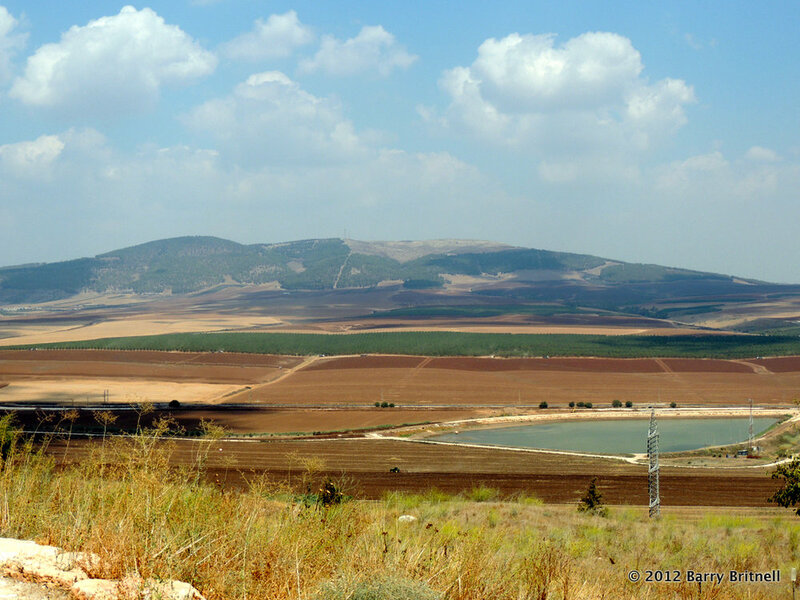 The Jordan River, which sits in the Jordan Rift Valley is not visible as it falls below the land line between Jezreel and the Transjordan Plateau. How many Biblical events can you name that happened in this picture? Well, here is a list to get you started. Many other Biblical events happened within the view of this picture. In addition, anyone traveling from the Galilee area (to the upper left) to the Jerusalem area could have come through this area. To the Jezreel Expedition: Thanks for supplying this picture! And to Todd Bolen, thanks for taking the picture! It was a great reminder of all of the things that happened here.